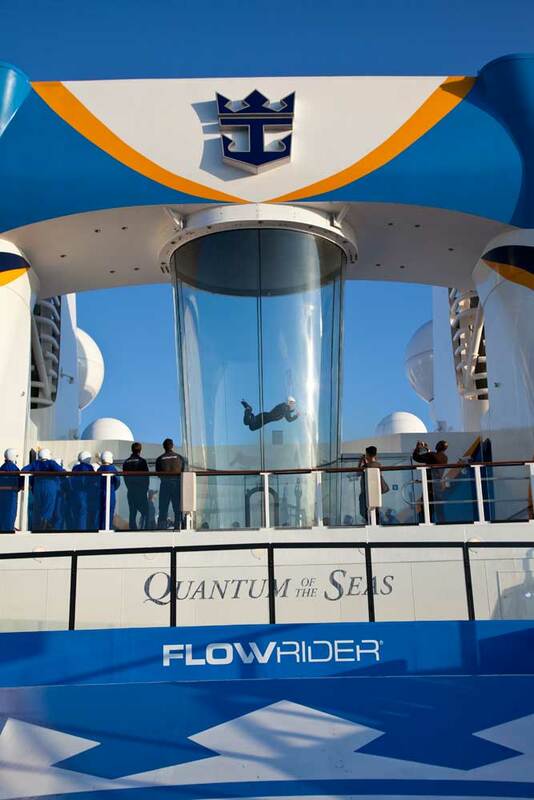 Quantum of the Seas – heaven or hell? You decide. 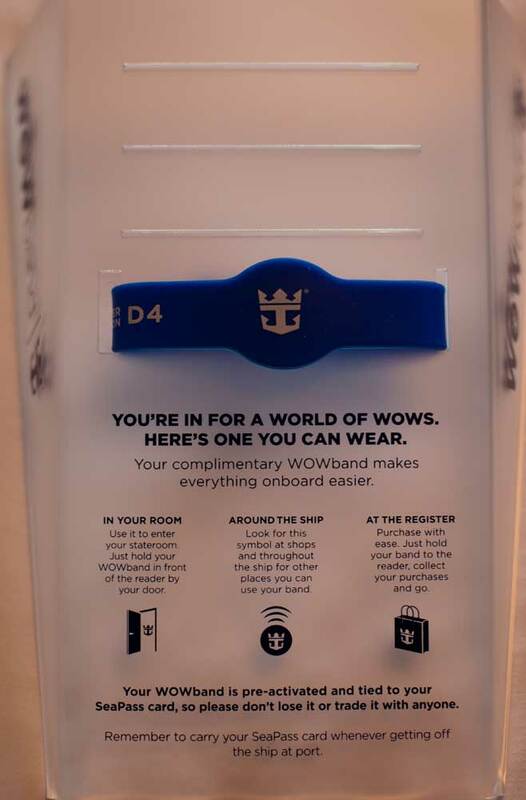 The company behind the Quantum of the Seas, Royal Caribbean are hanging their hat on Quantum being the “smartest ship” to sail the seven seas. They are claiming comparable broadband speeds to your home connection and as we are filing this from on board about 30km off NYC in the Atlantic we can actually agree, its close but not quite the same. Further the cost for connection is cheaper than most ships basic crappy connections speeds. This will be the first time you can really stay in touch or more importantly update status and check in at sea. Not sure if that’s a good thing or a bad thing. The shops onboard Quantum are not your usual tat and crap. Yes, Bvlgari has a boutique on board. 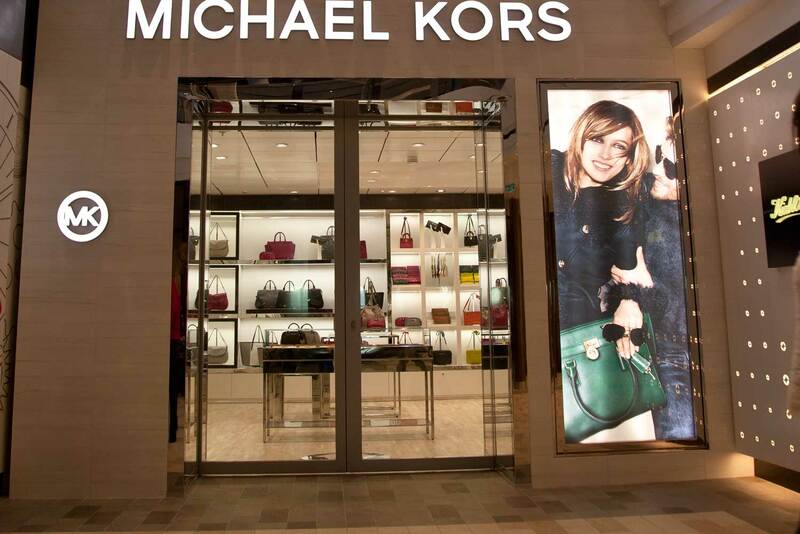 As does Michael Kors, Kiehls, Cartier, Hublot… And because you're at sea, it's all duty free! 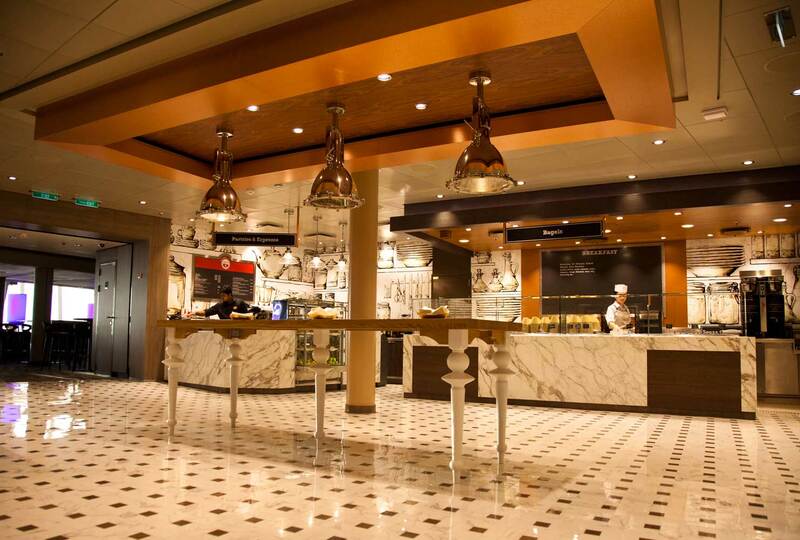 There are 18 restaurants and 14 bars on board Quantum. But forget the mass ‘trough-fest’ dining rooms where 1500 people get fed in an hour and then shoved back out the door. 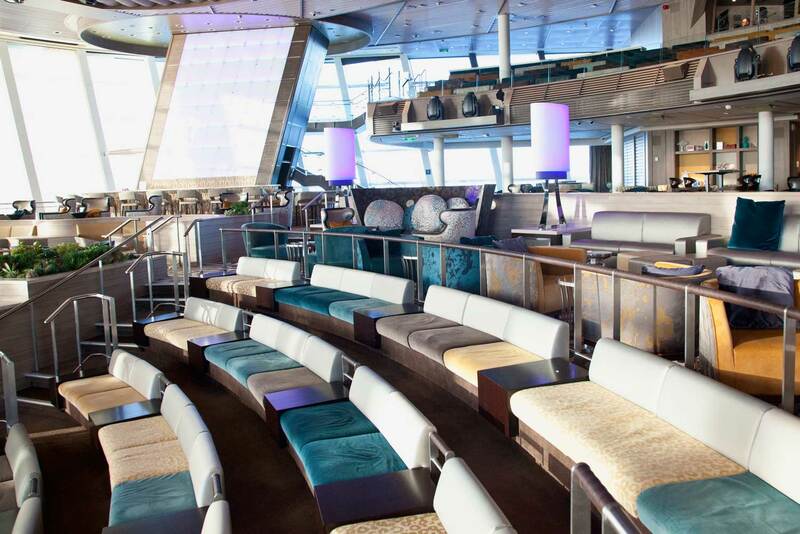 Quantum of the Seas has ditched the traditional dining room so you're not seated with other guests on tables of six or eight. It's a new concept they are calling 'Dynamic Dining'. This also means you can book your dinner at a time of your choosing. The traditional dining room has been replaced by four different complimentary restaurants: American Icon Grill (all American classics), Chic (modern and sophisticated), Silk (Pan-Asian), The Grande (classic formal European). Then there is a host of ‘specialty dining’ restaurants which come with a small fee. We suggest cruisers take up the specialty dining package - it makes a world of difference in meal quality. 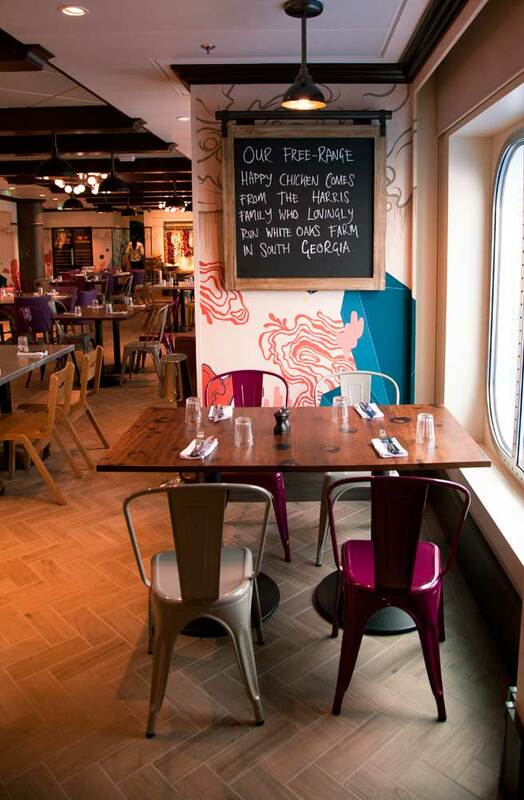 Jamie Oliver’s Italian is our pick. There is also US-based celeb chef Michael Schwartz's version of an English gastro pub. A surprising addition is a healthy dining restaurant from US chef Devin Alexander (better known as the Biggest Loser chef). She serves low-calorie but full-flavour food. Having said that, we weren't enamoured with our main meal. But our pick of Quantum's culinary offerings is Vintage. 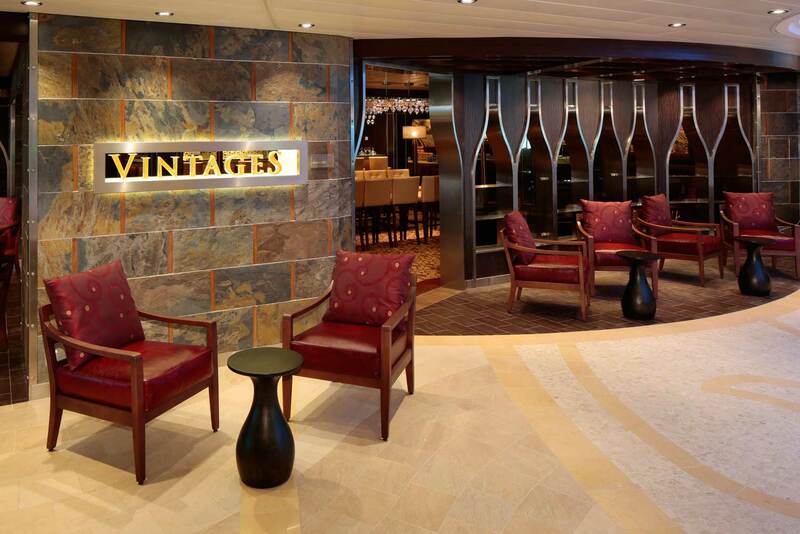 Thanks to cutting-edge technology featured throughout the ship, Vintage provides about 20 bottles of wine available by the glass via a self-serve system. Tap your wristband and select a sip, a half glass or full glass, and away you go. It’s dangerously fun tasting your way around the world. 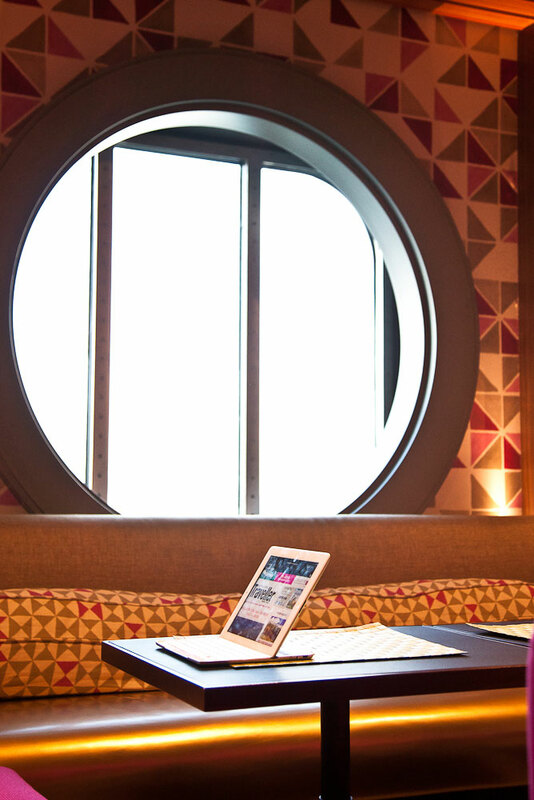 A favourite for lunch and breakfast is The Café @270. Situated on the fifth deck, The Café comes with a barista who can actually (shock horror) make a decent coffee. Serving salmon bagels and breakfast burritos to sandwiches and salads throughout the day, it is also the best place for a light lunch and snacking. Next to The Café, Two70 is a lounge, bar and entertainment stage in the evening. The enormous high ceilings are just the backdrop to a huge curved window looking out to sea (hence 270, as in degrees of view). The modern-resort style includes textured pillows in colourful pastels, making for a great space to hang. Full-size basketball court or circus school or roller skating rink or bumper car speedway? Well, the Seaplex is all of the above. 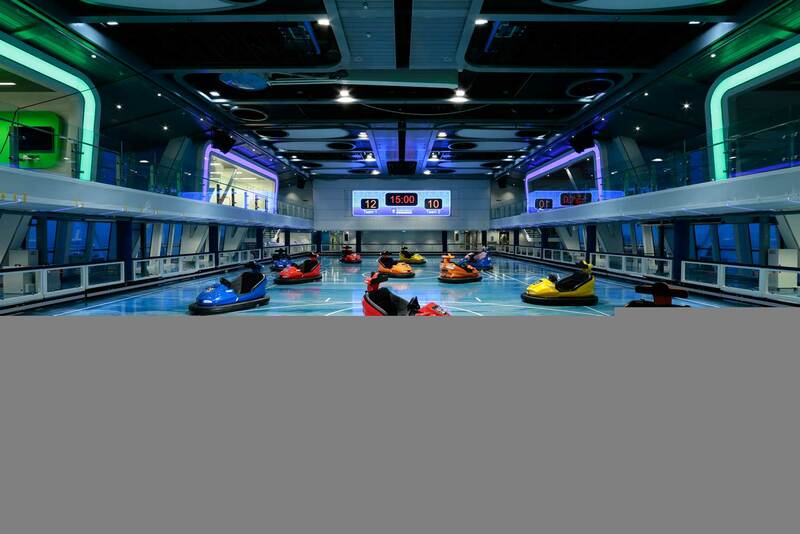 The indoor space is totally overwhelming in scope for a cruise ship, but incredibly smart. Especially for teenage guests looking for entertainment. Meanwhile there are four more areas overlooking the full-sized basketball court, table tennis, air hockey and Xbox uplinked to the web. To make sure the kids get outside and smell the fresh sea air, there is Royal Caribbean's signature outdoor rock-climbing wall and wave-rider surfing pool. New is the Ripcord by iFly - an indoor skydiving experience. Better yet, it's all complimentary. 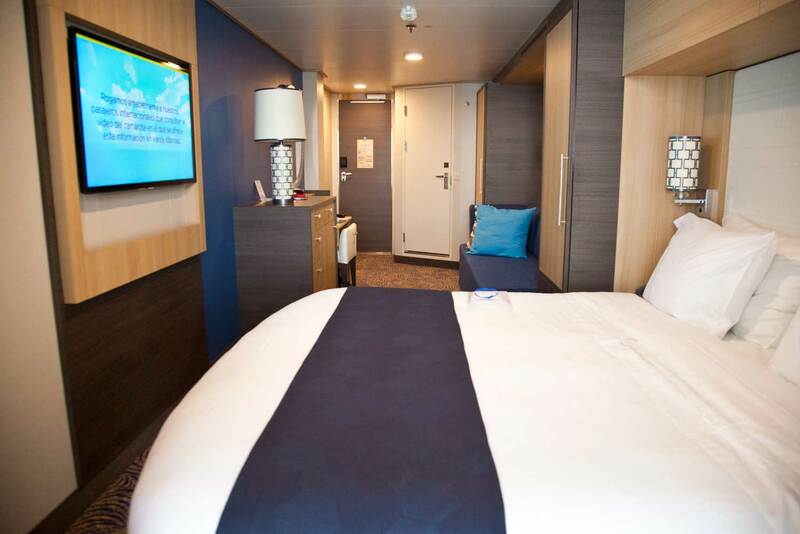 Cruise lobbyists will argue you spend no time in your room because there is so much to do, but we still care whether it is comfortably spacious. We tested the Superior Ocean View Stateroom with a balcony. The verdict? This image shows the room from the balcony doorway - spacious with enough room for two, just. For a seven-night cruise in peak season, expect to pay from US$1519 per seven-night per person. Grand Suites that are vastly more spacious are about US$2600 per seven-nights at the same time. 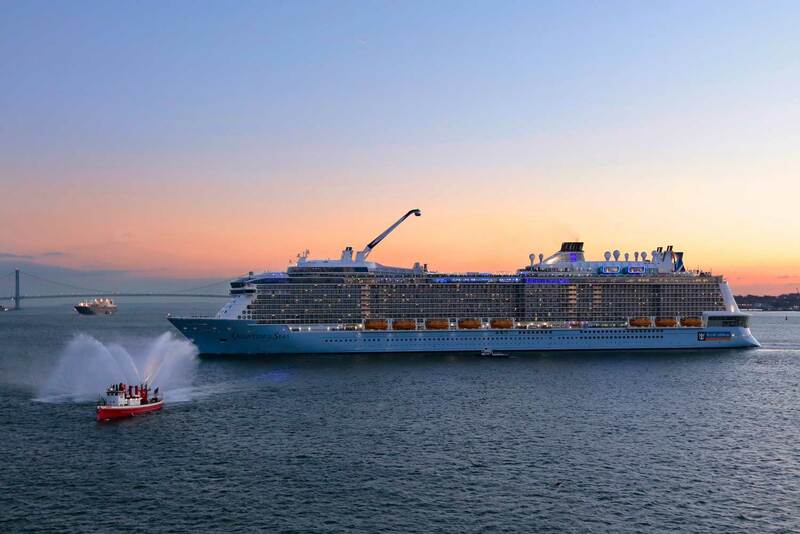 More than 90 per cent of you have already dismissed this story as “not for you” because despite the fact that you have never ever been on one, you “hate cruising” and this Quantum of the Seas is just another “floating RSL”. Common perception is, cruise liners are just one big enclosed God’s waiting room where zimmer frames battle at the buffet for mediocre oil-drenched food. This can be true, particularly in Australia where we do not get the latest and greatest ships. But please, indulge me for a second. 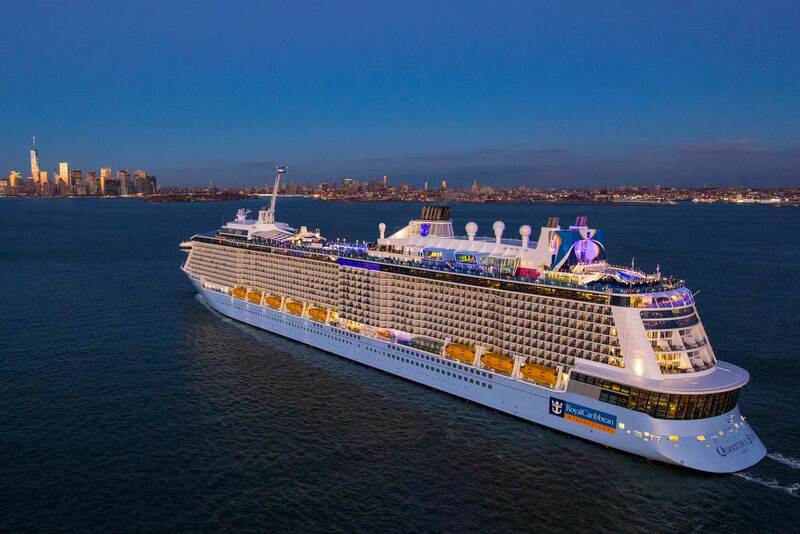 Suspend all your prejudices, your preconceived ideas and let me independently guide you though Quantum of the Seas – the cutting edge of cruise ships in the world.